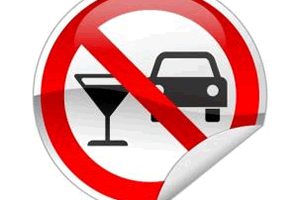 Steps to Reinstate Your Drivers License After DUI - Answer from MyDuiAttorney. Losing your driver’s license through a DUI license revocation or DUI license suspension can be one of the most challenging penalties of a DUI conviction. The amount of time your license will be suspended or revoked following a DUI will vary by state and by offense. The steps to reinstate your license will also vary and will be dictated by your state’s reinstatement laws. For specific information regarding your license eligibility you need to contact the Department or Public Safety (or comparable agency) within your state. For example, the State of Texas provides an online eligibility system through the Texas Department of Public Safety (DPS) which allows drivers to track their eligibility status and pay their license suspension fees. Your state should have a similar system. Below are listed general steps which may be required in your state to reinstate your driver’s license following a DUI conviction. As mentioned above, not all states have the same regulations and may not require each step. Understand what happened to your driver’s license. With all the legal terms being used you may not fully understand what happened to your license. Talk to the DPS and find out if your license is suspended or revoked. 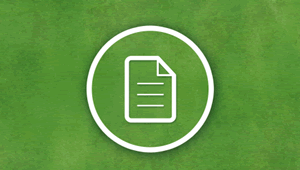 The steps to reinstate a suspended license may be simpler than a revocation reinstatement. Drivers who are arrested for DUI may be required to attend an Alcohol Education Program before they can have their license reinstated. Class time requirements vary, and in some cases, this requirement may be waived by the judge. The court may also require the completion of the class within a specified time period in order to avoid a license revocation. Pay all required license reinstatement fees. Drivers must pay all required fees, including the reinstatement fee or administrative fees. In some cases, the reinstatement fee will only be paid if the driver failed to complete the necessary educational programs and received a license revocation. Purchase the necessary Insurance to drive. Many states require drivers convicted of DUI to purchase specific insurance, often referred to as Financial Responsibility Insurance or SR-22. This type of insurance must be retained for a specific number of years, as determined by state law, and proof of insurance must be submitted to the DPS. If a driver attempts to cancel their SR-22 insurance prematurely the insurance company is required to notify the DMV by issuing an SR26 cancellation form. Complete necessary repeat offender’s educational programs. While not required in all states for all drivers, repeat offenders may be required to complete additional educational programs to reinstate their driver’s license. Request a hearing for a driver’s license reinstatement. Although not required in all states, some states require drivers to attend a hearing prior to license reinstatement. If your state requires you to attend a hearing to reinstate your license you can talk to the DMV and find out the exact process. Generally, drivers will have to complete a petition or hearing request which is then sent to the DMV or to the court. 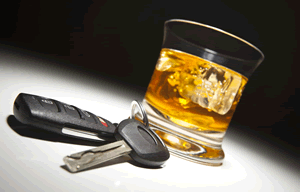 Some drivers hire DUI lawyers to attend hearings with them and argue their case. Most states will allow drivers to check their eligibility to drive online. After you have completed all of the necessary compliance items (i.e., completed the suspension, attended your alcohol education classes, paid all the necessary fees, and purchased SR-22 insurance), then your eligibility status should be updated from ineligible to eligible.